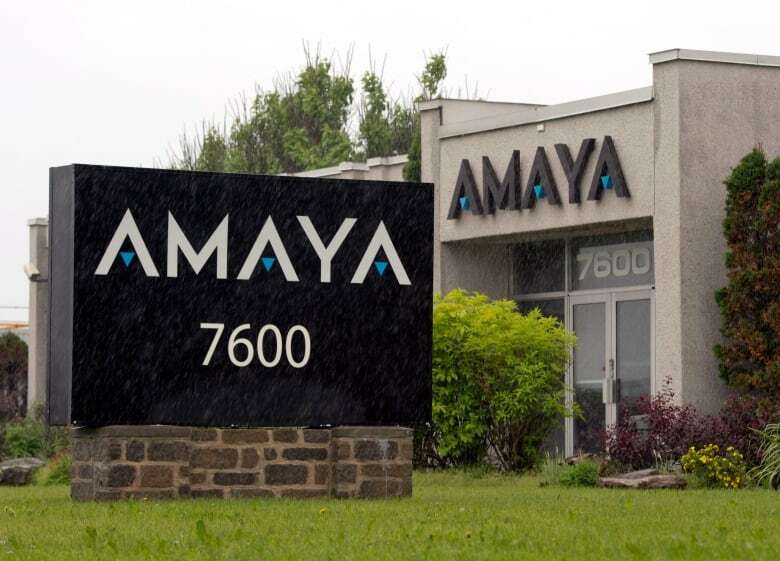 Amaya, the world's largest online gaming company, based on Montreal's West Island, is facing insider trading charges from Quebec's securities regulator tied to the company's $4.9-billion acquisition of PokerStars and Full Tilt Poker in 2014. Amaya, the world's largest online gaming company, is facing insider trading charges from Quebec's securities regulator tied to the company's $4.9-billion acquisition of PokerStars and Full Tilt Poker in 2014. ​In total, 23 charges were filed against three companies and three individuals, including five charges for Amaya CEO David Baazov, who has been described by Forbes as "the king of online gaming." 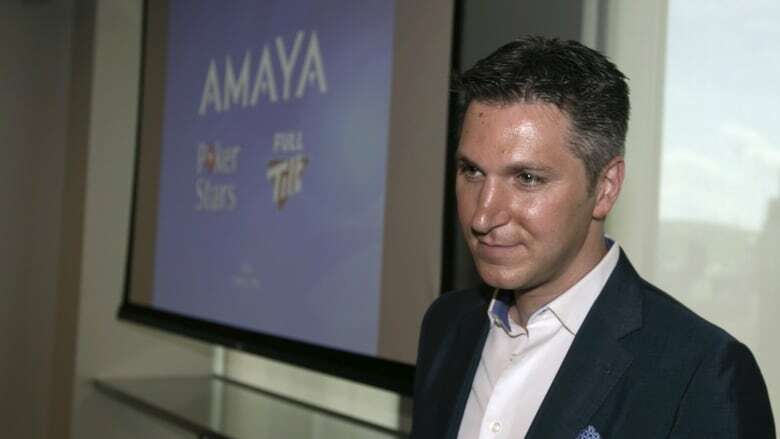 The Amaya Gaming Group acquired Pokerstars and Full Tilt Poker for $4.9 billion. (Ryan Remiorz/CP)The company is based on Montreal's West Island. The charges are "very serious" and if proven could carry fines of up to $5 million and five years in prison, said Sylvain Théberge, a spokesperson for the Quebec regulator, known by its French name, the Autorité des marchés financiers (AMF). Baazov said in a statement the charges are false and that he will vigorously contest them. In addition, the AMF said Wednesday that it had executed search warrants and obtained freeze and cease-trade orders in regards to 13 other individuals tied to mergers and acquisitions involving Amaya. Amaya's stock price in Toronto dropped 18 per cent as trading opened Wednesday. Théberge said the investigation began in June 2014, after Amaya acquired the privately held Oldford Group, the owner of online poker websites PokerStars and Full Tilt Poker. The transaction turned Amaya into the biggest online gambling company in the world. The securities regulator, with assistance from the RCMP, raided Amaya's offices in Pointe-Claire in December 2014. The charges relate to "aiding with trades while in possession of privileged information, influencing or attempting to influence the market price of Amaya, and communicating privileged information," Théberge said. "We're talking about insider trading." Baazov responded to the charges in a statement. "While I am deeply disappointed with the AMF's decision, I am highly confident I will be found innocent of all these charges," he said. "I have always been proud of my reputation for personal integrity and ethical business conduct." Amaya issued its own statement responding to the charges and said they are without merit. The company said the charges involve allegations relating to a former financial advisor to the company and an employee. "Amaya does not anticipate the charges will have any impact on the management or day-to-day affairs of the operating business," the statement read. "David Baazov has the full support of the independent members of the board," Dave Gadhia, Amaya's lead director and independent board member, said in the statement. Théberge said the companies and individuals charged have 30 days to respond to the charges and file pleas. Industry anaylyst Warwick Bartlett, CEO of London-based Global Betting and Gaming consultants, told CBC that the charges could affect Amaya's plans to expand its online offerings. "I think it's a shame for the company. They've been working hard to introduce sports booking and casino. They've got big plans for the European Soccer Championships this summer," Bartlett said. "Basically, it's a distraction for the business." In particular, Bartlett said the charges may affect the company's plans to expand into the United States. Last October Amaya got an online gambling licence in the state of New Jersey. "That's a stepping stone to the rest of the United States, if other states decide to legalize online gambling, especially the bigger states like New York and California," Bartlett said. "If Baazov was to be found guilty, he might lose his license in New Jersey, which he's only just won." Baazov announced in February he wanted to buy out shareholders for $21 a share. His offer valued the company at $2.8 billion. Amaya's board set up a special committee, headed by Gadhia, to review any concrete proposals brought forward, including any other alternative offers. Baazov currently owns 24.6 million common shares of Amaya, representing about 18.6 percent of the outstanding common shares, and has options to buy another 550,000. In his statement released Wednesday, Baazov said he wanted to proceed with the deal. "I am still committed to working with my investor group and the Board to consummate a successful transaction," the statement read. A glowing profile of 35-year-old Baazov in Forbes magazine in December 2014 referred to him as "the king of online gambling." The profile outlined the rags-to-riches story of Baazov, growing up with conservative Orthodox Jewish parents who kicked him out of the house at age 16. It says he was homeless and sleeping on park benches in Montreal for a time before becoming successful in business. "Baazov's story is an untold saga of chutzpah, luck and pure perseverance," the Forbes profile read.